South Africa has a dire shortage of organ donors. This means that doctors struggle to find suitable donor organs for critically ill patients who would die without receiving a transplant. Sometimes they have to make tough calls such as using a blood group incompatible organ to save a patient's life – even if this comes with additional risk. About a year ago we made a tough call of our own: we could save a child's life by giving the child a liver transplant – but risked infecting the child with HIV in the process. The donor was the child's mother, who is HIV positive and the child was HIV negative. The procedure came with a risk of transmitting HIV to the child. South Africa's law does not forbid the transplantation of an organ from a living HIV positive donor to an HIV negative recipient, provided that a robust informed consent process is in place. But this isn't universally accepted as best clinical practice because of the risk of HIV transmission to the recipient. The young recipient had been on the organ donor waiting list for 181 days. The average time on the waiting list in our transplant programme is 49 days. The child's mother had repeatedly asked if she could donate a part of her liver, but we could not consider this because it was against the policy in our unit at the time. Without a transplant, the child would certainly have died. After much consideration, and with permission from the Medical Ethics Committee at Johannesburg's University of the Witwatersrand, we decided to go ahead with the transplant. With careful planning we were able to give the child antiretroviral drugs in advance, with the hope of preventing HIV infection. The transplant, which happened at the University of the Witwatersrand's Donald Gordon Medical Centre, was a success. The child is thriving, but at this point we are unable to determine the child's HIV status. In the first month after the transplant we detected HIV antibodies in the child and it looked like HIV infection might have taken place. But as time went by the antibodies declined and are now almost undetectable. We have not been able to work out for certain whether the child has HIV or not. Even with ultra-sensitive, specialised testing, we have not been able to detect any HIV in the child's blood or cells. It will probably still be some time before we can be sure. However, the child is doing very well on antiretroviral treatment. And we know from cases where HIV was transmitted inadvertently that people who get HIV from an organ transplant do as well as those who get an HIV-negative organ. This operation could be a game changer for South Africa. The country has a large pool of virally suppressed HIV-positive people who have previously not been considered for living liver donation. Viral suppression is when a person with HIV takes their antiretroviral medication as prescribed and their viral load – the amount of virus in their blood – is so low that it is undetectable. Organ transplant comes with many ethical and legal challenges. In this case, some unique and complex issues were carefully considered. We took great care to consult widely before doing the transplant. This included speaking to the members of the transplant team, bioethicists, lawyers, experts in the field of HIV medicine and Wits University's Medical Ethics Committee. The committee's function is—among other things—to protect patients in medical research, and to make sure doctors are doing procedures for the correct reasons. It was clear that a transplant was in the child's best interests. The bigger ethical question was whether it was right to deny the mother the opportunity to save her child's life. A fundamental principle of ethics is to treat people fairly. People with HIV should have the same health care options as everyone else. We, along with the Ethics Committee, agreed that as long as the child's parents understood that there was a risk the child could acquire HIV, it was acceptable to go ahead with the transplant. Then, to ensure that the child's parents were properly informed and in the best position to make a decision, we used an independent donor advocate. The advocate was not employed by the hospital and their main role was to support the parents by ensuring that they understood exactly what the risks were for the mother as a donor. The advocate also engaged with the transplant team on the parents' behalf, if needed. In this case, the parents were committed to go ahead with the operation, and had already come to terms with the risk of HIV transmission to their child. They were appreciative that the team were willing to carefully consider this option for them, given that there were no alternatives available and their child was critically ill. We asked both parents to consent to the procedure, as both are responsible for taking care of the child going forward. 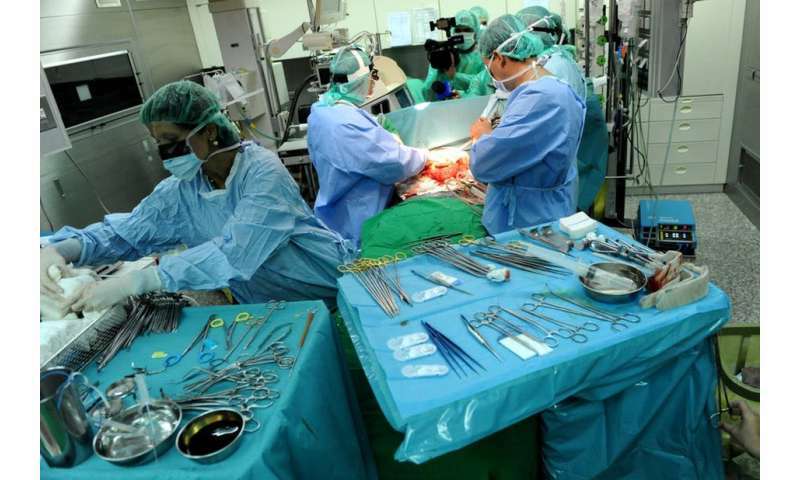 This operation has shown that doctors can do this type of transplant, and that outcomes for the HIV positive donor and the recipient can be good. It has also created a unique opportunity for scientists at Wits to study HIV transmission under very controlled circumstances. For now, doctors will not be able to tell parents whether or not their child will get HIV from this type of transplant. This is because this is a single case with many unanswered questions that will hopefully be answered through ongoing research. Going forward, we will continue to ensure that parents are fully aware of the uncertainty in this situation. All future cases will be part of an ongoing research study that will investigate HIV transmission in children in more detail and the ways in which HIV may or may not be spread through organ transplantation. Would you rather die of liver failure or live with HIV?